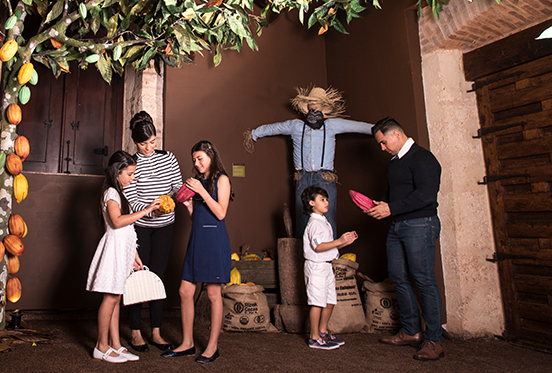 At the colonial city of Santo Domingo we invite you to enjoy chocolate in a way you have never seen before. Come and learn about the process of chocolate making in an experience that the whole family can enjoy! 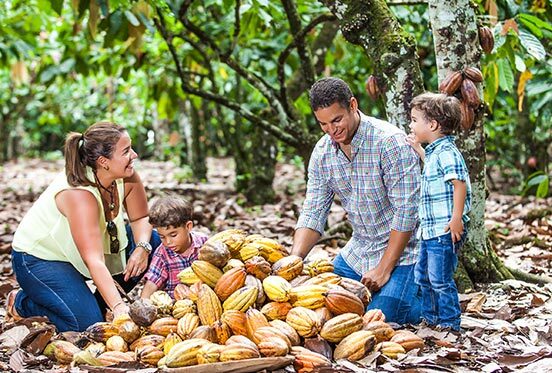 At San Francisco de Macorís we welcome you to our farm, La Esmeralda, where you´ll be able to enjoy an interactive and educational tour of the Dominican cacao and chocolate. For over 100 years, the Rizek family has cultivated and produced high quality cocoa beans. This long-established know-how has enabled the company to develop a unique treatment system that allows for post-harvest notes and highlights specific flavors within each cocoa bean. This is achieved by controlling the fermentation and drying processes in order to produce a high-quality cacao that meets the demands of the world’s chocolate industry. Cacao plantations make up 10% of the Dominican Republic’s green area, and are vital in the protection of our natural environment. The cocoa plantations are home to many endemic species, improve the lives of field workers and contribute to the Dominican Republic’s economic growth. The cacao beans at our farm, La Esmeralda, are characterized by their citrus and fruity notes that are translated into a very unique flavor in the final product, our chocolate bars.